Admission: Free, however, please register if you plan to attend. On Sunday, April 26 at 5 p.m., Dr. Gershon Baskin, renowned peace activist, journalist and author, will be speaking at an event co-presented by 3S Artspaces, The World Affairs Council of New Hampshire, and Kids4Peace, an organization that brings together youth from Israel/Palestine and the United States with the goal of building bridges among Muslims, Jews and Christians. Dr Baskin has been actively involved in the peace movement for many years and is currently a member of the Palestinian-Israeli Peace NGO Forum. He has written widely on the peace process and has won a number of international awards for his efforts. Dr Baskin has been a columnist for the The Jerusalem Post since 2005 and continues to travel tirelessly to promote peace in the region. He was personally responsible for the successful negotiations with Hamas that led to the release of the Israeli soldier, Gilad Schalit. 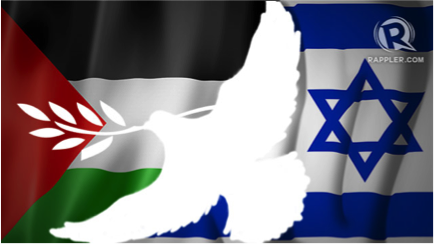 In his talk at 3S, Dr Baskin will explore the question of whether a lasting peace between Palestinians and Israelis is still possible in light of Prime Minister Netanyahu’s recent re-election. He will also discuss Palestinian international diplomatic strategy and international pressures facing Israel. In addition, he will address US/Israeli relations and the role of American Jewry both in US and Israeli politics. Dr. Baskin’s speech will be followed by a Q& session. Arrive at 4:30 and meet representatives of Kids4Peace.